This morning, I had a conversation with my lady friend about her daughter who happens to be my godchild. Just recently, one of her two nannies reported that her 2 years old daughter was being physically abused by the other in a way as what we normally see on TV. Well, she cited some examples. Since the child was quite hard to feed, the nanny would force a spoon to her mouth to push the food in. She would then shake the spoon upward and sideways while inside the child’s mouth as a warning or a punishment perhaps. Often, the poor kid would cry or throw-up and food would fall on the floor as a result of the pain. She would then force the child to eat whatever has been thrown-up. Afterwards, she would then drag her along through her hair to the restroom and clean her up by submerging her face to the toilet bowl first. At times when the kid would helplessly urinate on the floor, the said nanny would use the wet underwear to wipe the urine on the floor and forcefully rub the cloth to the poor baby’s face as a punishment. There was an instance as well where she intentionally let the kid burn her fingers with a flat iron. On several times, the kid was seen with broken lips and some bruises but the nanny blames it to the child’s playfulness though the injuries were inflicted from strong blows and punches. To avoid being questioned, she would create stories to hide her wrongdoings or hurt the kid in ways where it will be hard to spot bruises or marks like pulling her hair or knocking and punching her head. The child was way too young to report to her parents and the nanny was said to have been teaching the kid what to say. 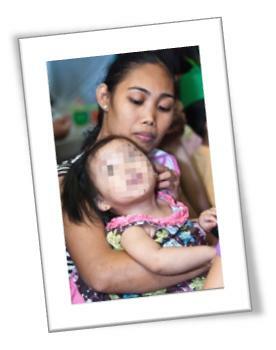 The other nanny who has been witnessing the said abuses remains silent but she could not bear it anymore. The kid recently sustained an open cut to her lips due to physical abuses so the other nanny decided to tell the parents what is happening. When confronted, the nanny admitted to her wrongdoings. The couple then immediately asked the abusive nanny to leave and reported the incident to the nearest police station. They could have had her arrested but because the parents were shocked too, their decisions and actions came fast as well. It was indeed a disturbing story and I could only imagine how traumatic it has been for the parents especially for my godchild. My friend and her husband are now preparing to file a formal complaint with the PNP and since the culprit is at large, I am sending this message as a warning. The abusive nanny was said to have been befriending security guards same as the notorious Poison Ivy. In her tenure with my friend, she was reported to have been seen taking in a security guard inside the house and there they would do intimate acts right in the presence of the child. Thus, the parents now know why the child knows how to say “lips to lips” and “dede” at a very young age. This lady has the habit as well of taking co-nannies and other house-helpers inside while the couples are away. She would let them eat and hang-out which in itself is already an abuse. Same as what I told my friend after our discussion, you have to check your kids always upon arriving home from work – from head to toes! Although I am sure that she does that every day, some things are quite hard to see so you need to also communicate always with your children with regards to how they are being treated when you are not around. If they are too young to report to you, equip your place with cheap yet effective surveillance camera if you can afford it especially if you are leaving your kids at home alone with nannies that you don’t know much about. People are very much different these days. It’s really hard to find someone whom you can trust and it’s even harder to keep them. You also have to make sure to screen the people you hire especially if they are to take care of your loved ones! 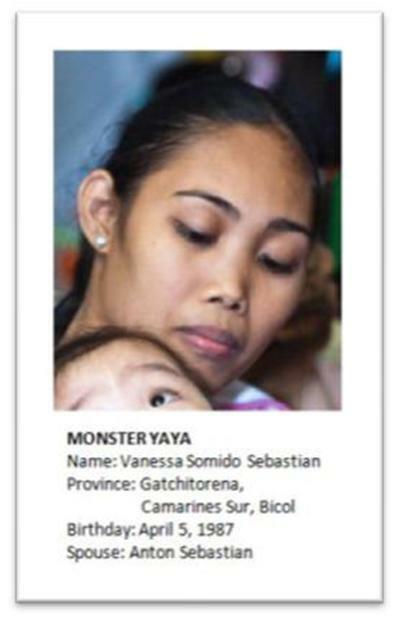 I hate it when people let monsters like Vanessa, get away with destroying their child's life! She deserves to be thrown behind bars. You can't just blog it! Not everyone can read your article...just saying.